Don’t miss this important live discussion with Keshe. It’s been a year since I last interviewed him. Click here to view the first Project Camelot interview with Keshe. Be sure to tune in for this live update! Utah State University presented a first-of-its-kind electric bus that is charged through wireless charging technology in a demonstration Nov. 15. 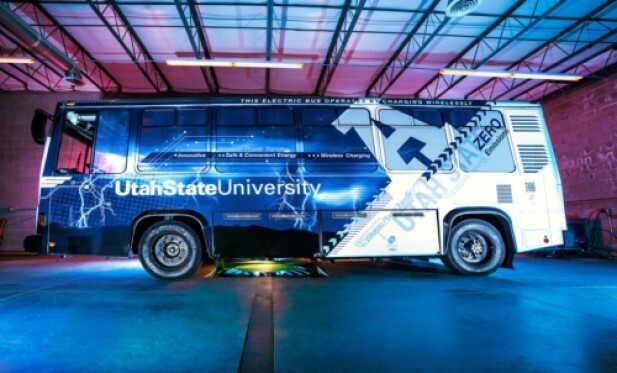 The Aggie Bus rolled onto the streets carrying passengers today; just 16 months after USU demonstrated the first high-power, high-efficiency wireless power transfer system capable of transferring enough energy to quickly charge an electric vehicle. In July 2011, the USU Research Foundation demonstrated 90 percent electrical transfer efficiency of five kilowatts over an air gap of 10 inches. The demonstration validated that electric vehicles can efficiently be charged with wireless technology. USU’s Wireless Power Transfer team, in cooperation with the Utah Science Technology and Research initiative’s Advanced Transportation Institute at USU, has designed a more efficient way to meet the nation’s transportation needs. By carefully applying a mix of modern advances in engineering and Nikola Tesla’s principles of induction, USU engineer Hunter Wu and his team have solved one of today’s vexing problems in WPT. Their research has led to the development of a robust prototype, which has been fitted to the Aggie Bus. The prototype transfers power over an air gap where no physical contact is required. Wireless power transfer technology delivers a multitude of benefits to consumers that include greater reliability due to no moving parts or cords, added convenience through the elimination of plug-in charging, the assurance of safety by removing the risk of electrocution and aesthetically pleasing devices as a result of no visible wiring. USU’s Aggie Bus has achieved several significant milestones. It is the first bus developed and designed by a North American organization that is charged with wireless power transfer technology and is the world’s first electric bus with WPT technology combining the three following performance metrics: A power level up to 25 kilowatts, greater than 90 percent efficiency from the power grid to the battery and a maximum misalignment of up to six inches. WAVE Inc., a Utah State University spin-out company, worked in cooperation with the USTAR Advanced Transportation Institute to develop the Aggie Bus. WAVE tackles the problem of heavy and expensive electric vehicle batteries through wireless power that transfers electricity between vehicles and the roadway. The Aggie Bus represents a market-ready product that will be used to retire significant technical risk as WAVE moves onto full-scale projects next year. WAVE, in partnership with the Utah Transit Authority, will launch its first commercial demonstration in mid-2013 on the University of Utah’s campus. It will feature a 40-foot transit bus on a public transit route and an increase in wireless power transfer charging from 25 kilowatts to 50 kilowatts. The project has been funded by a $2.7 million TIGGER grant from the Federal Transit Administration and the University of Utah which purchased the bus. WAVE intends to deliver a commercially ready product that operates with the same reliability as current public transit bus options, including diesel and compressed natural gas buses. Utah State University has refashioned the way in which it conducts its technology transfer operation. The office of Commercial Enterprises, a division of Commercialization and Regional Development, provides a one-stop-shop for industry partnership and intellectual property development. The Utah Science Technology and Research initiative is an innovative and far-reaching initiative of the Utah legislature to bolster Utah’s high-tech economy by investing in university research programs and recruiting new, high caliber faculty. Utah State’s wireless power transfer team is a significant part of USU’s USTAR portfolio. We welcome our American brothers in the family of the Keshe Foundations’ spaceship program and surely we will reach new horizons with the addition of American government and NASA to our family. Following My letter offering as a gift the spaceship program to the ambassador of USA in Belgium in late October, on the 6.11.2012 at 3.45 pm I was in receipt of an e-mail in response to this friendly offer from the USA embassy in Brussels. The content of the e-mail from the embassy confirmed that USA is ready to accept the gift of the nuclear reactor plasma spaceship technology of the Keshe Foundation and in return e-mails immediately the date was agreed as was suggested by the embassy. Today 15.11.2012 at 3pm at the appointed place the director of the Keshe Foundation and the senior officer of the US embassy met in a friendly and cordially manner and the spaceship technology USB stick was handed over to the government of United States of America. We have offered the US and NASA our full support for their development and deployment of this technology. With this meeting and exchange of nuclear technology we hope to bring to an end the lasting apparent animosity between the two nations. We shall build on this progress to bring peace into space for all nations. I as the director of the Keshe Foundation and an Iranian nuclear scientist, I thank His Excellency president Obama for ordering such a move by his embassy. In our meeting we have reached and extended the hand of peace from our side to His nation and I hope this will be reciprocated the same by his Excellency president Obama, now that borders have become meaningless with deployment of this new spaceship program and technology. 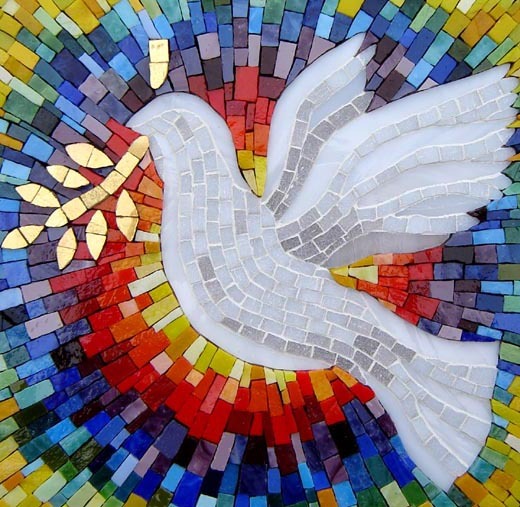 I thank the American ambassador His Excellency Mr. Gutman for this most gracious move and I am sure the first steps towards peace between two nations as is the wish of Iran has come to take shape. Interview with Mehran Tavakoli Keshe of the Keshe Foundation following a medical lecture he gave on Nov. 7, 2012 in Belgium. Although Mr Kesch does not want to associate himself with Star Trek, the technologies he has patented and currently releasing to the world’s governments certainly sounds like something out of Star Trek: Force fields, artificial gravity, electronic healing, faster than light travel, plasma energy sources, etc. It is not surprising that many people refer to his technology as “Keshe Trek”. This interview discussed his health and space applications and how it is currently being transferred to the world’s governments including Italy, Iran, Japan, Thailand, Africa, Latin America and many more countries. Is this for real or not? Watch this videos and decide for yourself! We are releasing this video here due to its obvious similarities to Star Trek technology remembering how Gene Roddenberry had a clause in his contract that specified that if any company could find a way to make one of the fictional technologies actually work, then they should be supported. Time will tell how these technologies will be used in the real world, but with many countries like Italy and Japan now officially acknowledging this technology, this is certainly something worth watching. Mr. Keshe says we should start seeing this technology in use by 2014 including trips to the Moon and Mars. Note: Due to technical problems with one of the two cameras used, only the video showing the interviewer could be used. Mr. Keshe can be heard, just not seen. According to the Keshe Foundation’s principle of transferring its technologies to every country on earth, we are proud to announce the nation and government of Italy has accepted the transfer of technology of the spaceship program of the keshe Foundation. On the 26.10.2012 at 4 pm as per pre-agreed appointment with the officials of the Italian embassy in Brussels in Belgium, The Director of the Keshe Foundation M T Keshe handed over to the officials of the Italian government, the representative scientific attaché, all full patents (public and hidden patents) of the Keshe Foundation, the blueprint of space reactor, the assembly unit of the reactor and the design of the space craft. The transfer of technology as with the government of Sierra Leone was in the format of electronic data saved on a USB stick. The official of the embassy immediately checked the content of the USB stick and confirmed that patent files and blueprints drawings are fully on the USB stick which they have recived. The session was video recorded and according to diplomatic protocol, as the video was taken within the premises of the Italian nation territory, it will be archived and will not be shown in public unless otherwise instructed by the Italian embassy and government. Now the nation of Italy has become the first nation in Europe which has accepted the full transfer of technology of the spaceship program of the Keshe Foundation for bringing peace and prosperity to the nations of the world. We welcome the scientists and officials of the Italian government and the nation of Italy to the Keshe Foundation spaceship program. We have offered our full expertise and technical support to the nation of Italy representatives in the meeting, if they call upon the Keshe Foundation to see this development through. As per previous discussions, we will bring all nations joining the spaceship program soon together that they can exchange know-how and knowledge on equal bases and scientific grounds. We would like to thank all the Italian people and internet community groups which encouraged their government representative to attend the 6.9.2012 meeting at the Keshe Foundation center for the world government ambassadors, and now we see the fruit of your hard work. The knowledge transfer has been done on no economical charge bases and it has been freely given to the nation of Italy by the Keshe Foundation as we have done with nations of Iran and Sierra Leone. We will announce names of more nations as they will become part of the spaceship program in the coming weeks. We welcome the Nation of Italy to the most advanced space program at the present, which will allow this nation to be able to put men in space before the end of the 2013. The Keshe Foundation welcomes fellow Italian scientists to peaceful open spaces of the universe and to our space program. Surely in the coming weeks and months your nation and the Keshe Foundation will make ground breaking technologies for the prosperity of your nation and mankind.